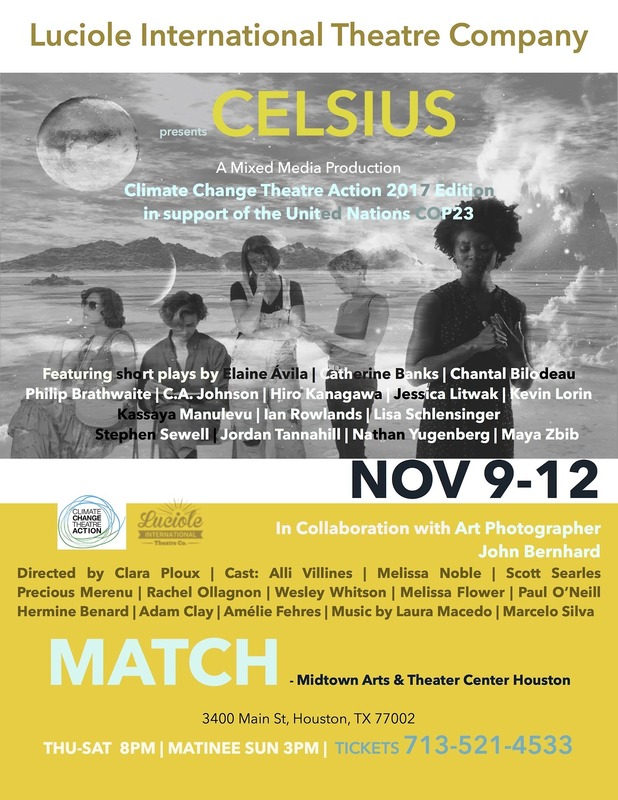 Luciole International Theatre Company presents Celsius, a Mixed Media Production featuring a collection of short plays by contemporary playwrights from across the globe as part of the Climate Change Theatre Action 2017 edition in support of the United Nations COP23. The pieces contain video, photography, art projection and original music for a true celebration of science and the human spirit. The plays are as varied as they are creative: Imagining the point of view of two eagles who try to find a meal among garbage, traveling to Mars in an colonization mission, take the road with a SUV driver who gets in a confrontation with a bike rider, enter in a Laboratory where science attempts to renew hope, visit a futuristic zoo, walk eight hundred and twenty miles to find fresh water, survive a flooding, understand how hard it is to not think about the big questions, play two hundred notes from Chopin’s First Nocturne, drink champagne, feel a call for a dream or fight because of a southern magnolia tree and every other living thing that deserves preserving in this world. 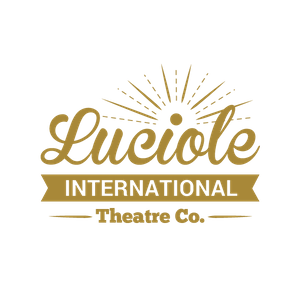 The Climate Change Theatre Action 2017 is a collaboration between the Center for Sustainable Practice in the Arts, No Passport Theatre Alliance, The Arctic Cycle, Theatre Without Borders, and York University, taking place in 41 countries and 63 cities in the USA. It is supported by the Compton Foundation, the Social Sciences and Humanities Research Council of Canada and a York University 150 Grant. Tim Alexander on How would you like to be remembered?